PVP Photovoltaik applied for a project in RETINA in the scope of a type 1 pilot action. PVP is working in the field of photovoltaic module manufacturing. Currently they are focusing on a new generation of frameless glass-glass PV modules. Normally the frame acts as an essential part in protecting the PV module against humidity ingress due to its adhesion via a sealing material. Measurements shall show if this protection is in fact necessary and furthermore if and which sealing can effectively shield the PV module to inhibit humidity intrusion during the lifetime of a photovoltaic module. Therefore test laminates (mini PV modules) will be laminated, which additionally will be equipped with sensors to measure the internal humidity of module. In the course of Type 1 Pilot Actions the company Hirsch applied for characterization of the currently used padding material for watch bands – leather. They are in the process of the development of new material for that component of the bracelets they produce. The classically used leather as padding material is disjoined into small fibre parts and pressed. Therefore a cushioning material is created to be put in between the outer face of the bracelet. Initially the current material shall be characterized to allow tuning of the materials in the future. Using the light microscopy (dark field imaging), images of the leather fibres were taken and an analysis tool was developed to automatically analyse the images afterwards (fibre length determination). 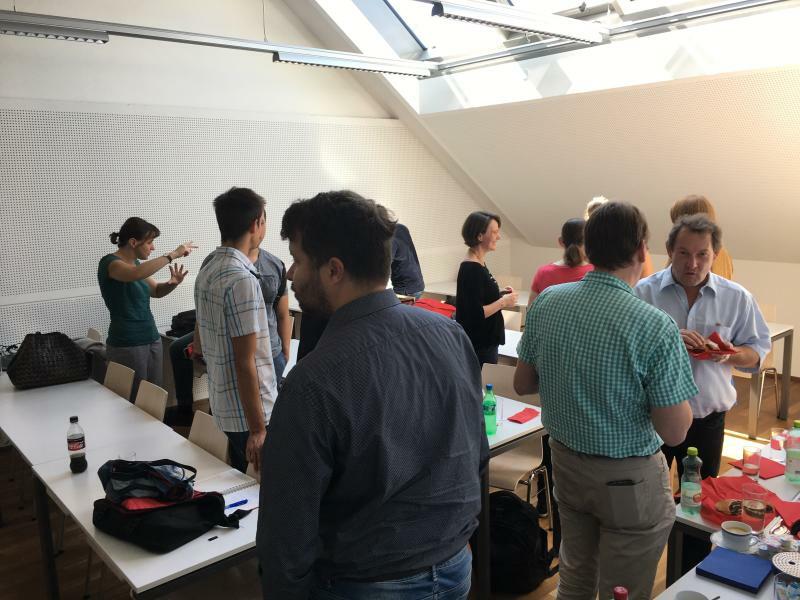 On 19 September 2018, the RETINA Infoevent & B2B Meeting was held in Leoben as part of the Interreg project RETINA. 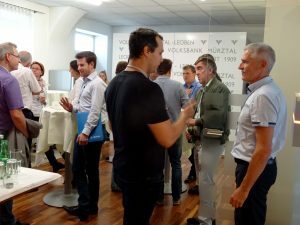 The event was jointly organised by the project partners University of Leoben (MUL), the Polymer Competence Center Leoben (PCCL), both from Austria and the Primorski Tehnološki Park (PTP) from Slovenia. More than 40 participants from 15 companies and scientific institutions from Austria (11) and Slovenia (4) took the opportunity to get free access and contact to this unique network of established research institutions / laboratories with profound experience in the field of material sciences within the framework of the free event. After the welcome by Renate Reumüller (MUL), Jurij Urbančič, representative of the lead partner University of Nova Gorica (UNG), presented the activities of the project RETINA and demonstrated with the help of the forms available on the homepage via the SINGLE ENTRY POINT how companies and researchers can get free access to the network RETINA. 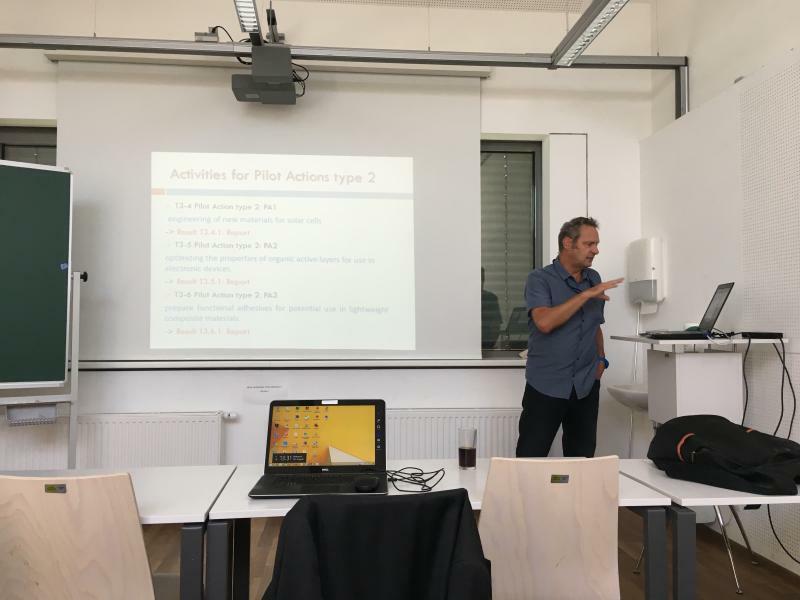 In the next session the project partners PCCL University of Nova Gorica, Graz University of Technology (TUG) presented their competences and the research infrastructure available for the project. In the lunch break afterwards, initial discussions between the participants and the scientists of the project took place. 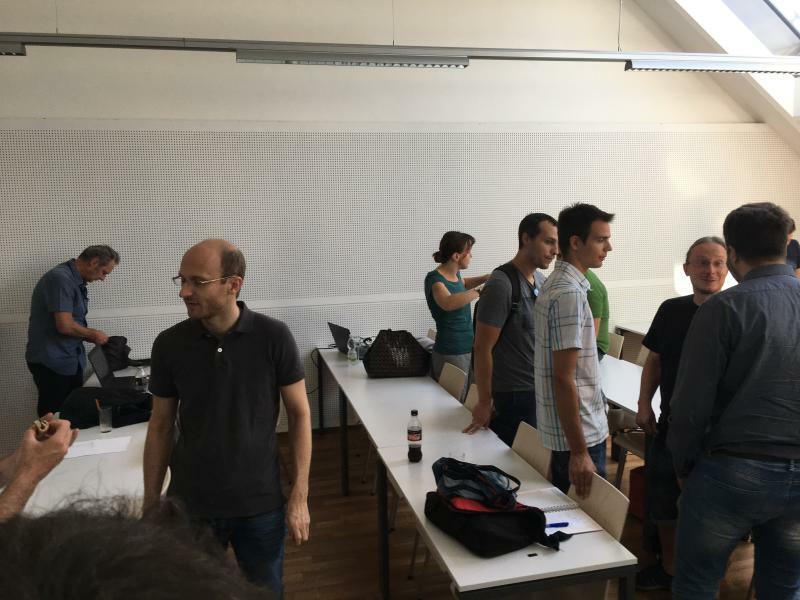 These discussions were continued in the B2B meetings after the presentation of the partners Kemijski Inštitut (KI), SLONMR and CTR Carinthian Tech Research AG. 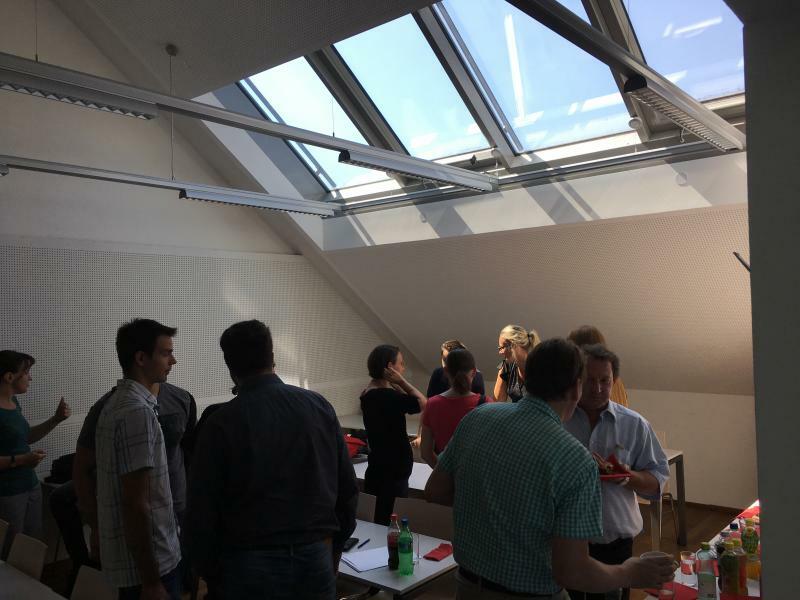 The participants took the opportunity to network, exchanged information and contact data and in some cases already arranged appointments for potential cooperation within the framework of RETINA. 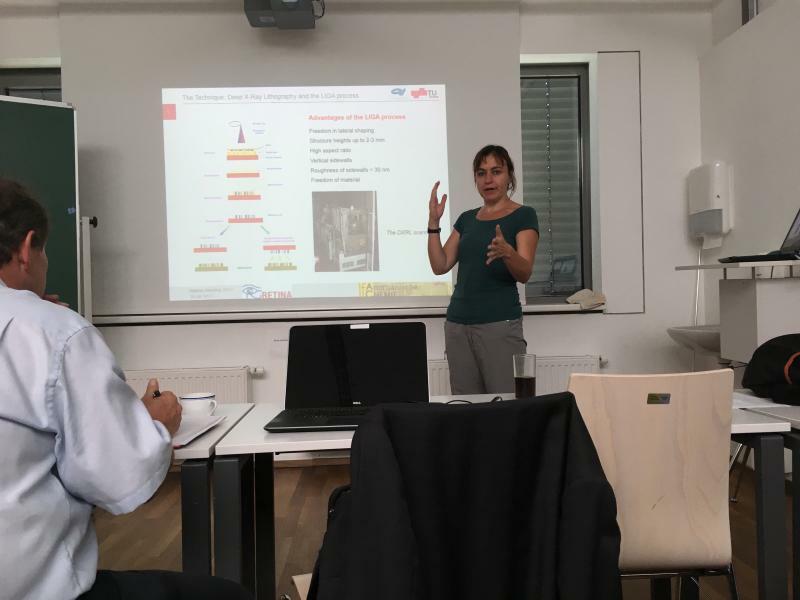 Sonja Feldbacher (PCCL) gave an outlook on a 2-day school, which will probably be held at the beginning of next year at the PCCL in Leoben on the topics “New trends in material characterisation, processes and modelling”, ” Instructions for the writing and submission of Type 1 Pilot actions application in the project, free of charge for companies” and ” Lectures about methodologies for slim and agile companies “. 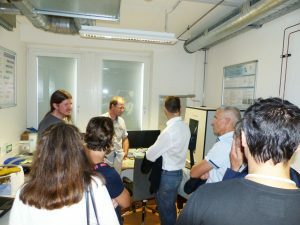 Additionally the RETINA Austrian information event offered all participants to get an overview on the experimental equipment of PCCL. Two separate groups were guided to the main research facilities of PCCL. Apart from the large number of participants and the lively interest during the entire day of the event, the positive feedback and inquiries from the participants is a sign of the great success of this event. 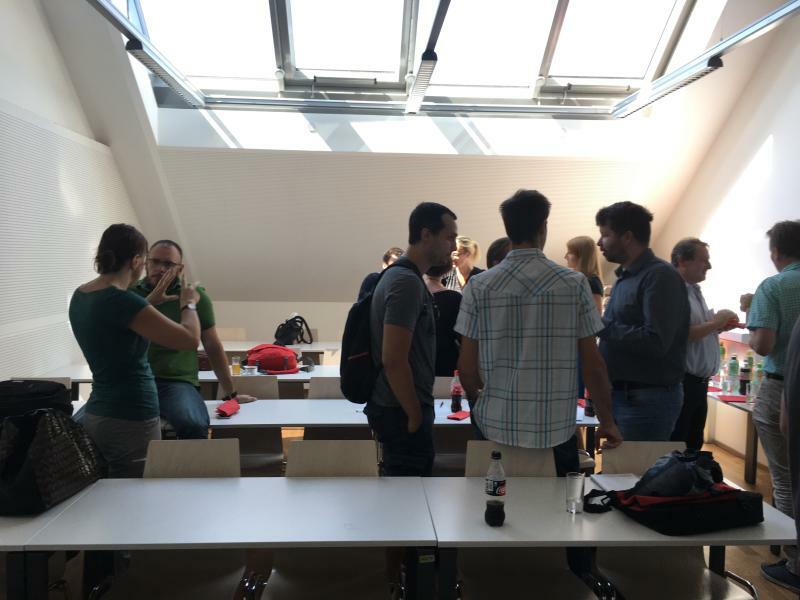 The presentations are available for download on request (retina@unileoben.ac.at). 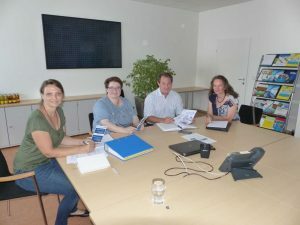 In the course of the network work of the Interreg project RETINA, representatives of the project partners (UNG Nova Gorica: Jurij Urbančič and Mattia Fanetti; PCCL GmbH: Sonja Feldbacher and CTR: Lukas Neumeier) visited Treibacher Industrie AG in Althofen, Carinthia (Austria). 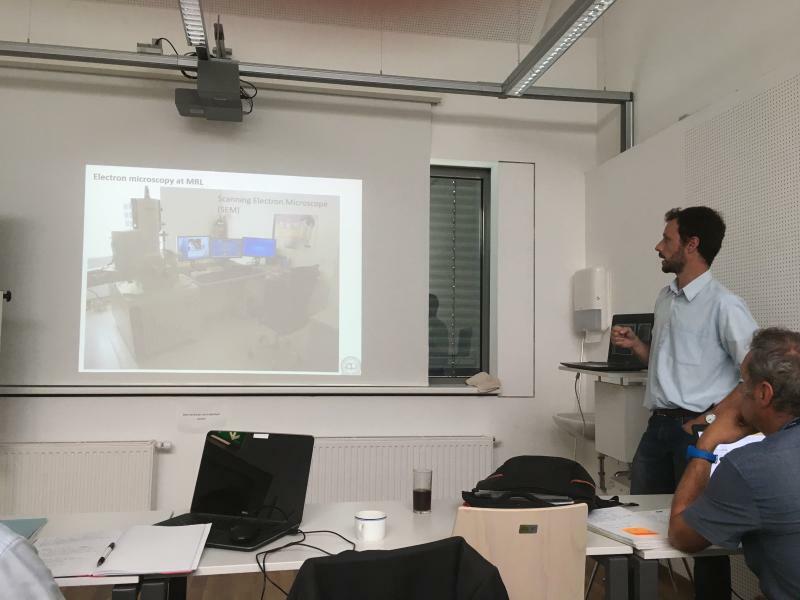 After a company presentation by Treibacher Industrie AG, the individual partners of the Retina Consortium presented themselves and their work. In the subsequent discussion, possible cooperations were discussed and it was emphasized that “Retina” offers good opportunities to gain a broad insight into the research landscape of the border area Slovenia-Austria. Elisabeth Ladstätter took over the position of Commercial Director of PCCL at the beginning of July 2018. 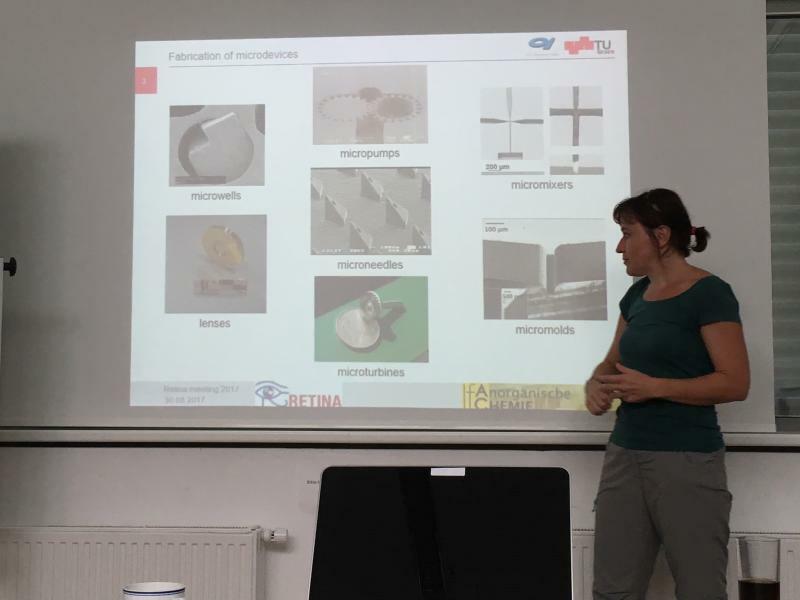 At a project meeting, Sonja Feldbacher (project manager at PCCL) and Renate Reumüller (project manager at MUL) presented her the network project RETINA. She was particularly impressed by the numerous participation of companies from the border region Austria/Slovenia, because the role of the PCCL as a cross-border interface for innovation and practice-oriented research work is also strengthened here. 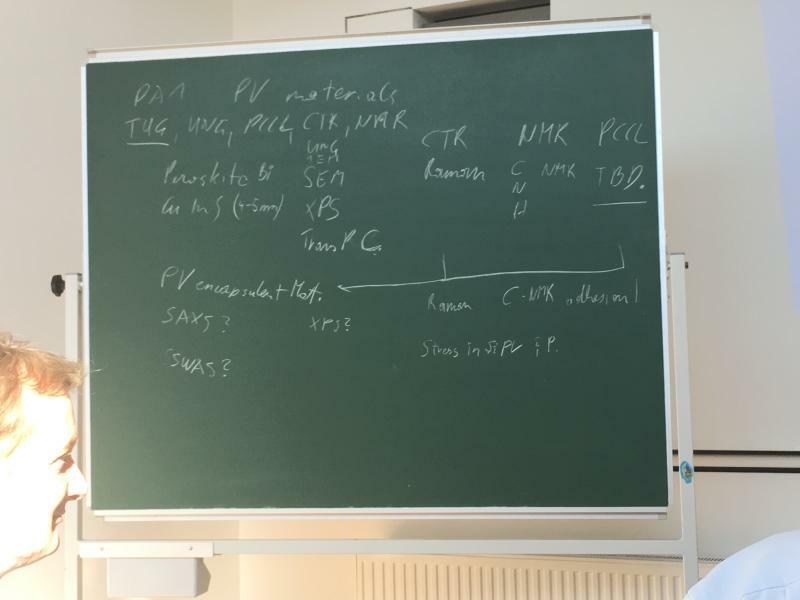 Slovenian NMR Centre, a representative of The Central European Research Infrastructure Consortium (CERIC ERIC), is inviting you to participate on the CERIC’s call for proposals. 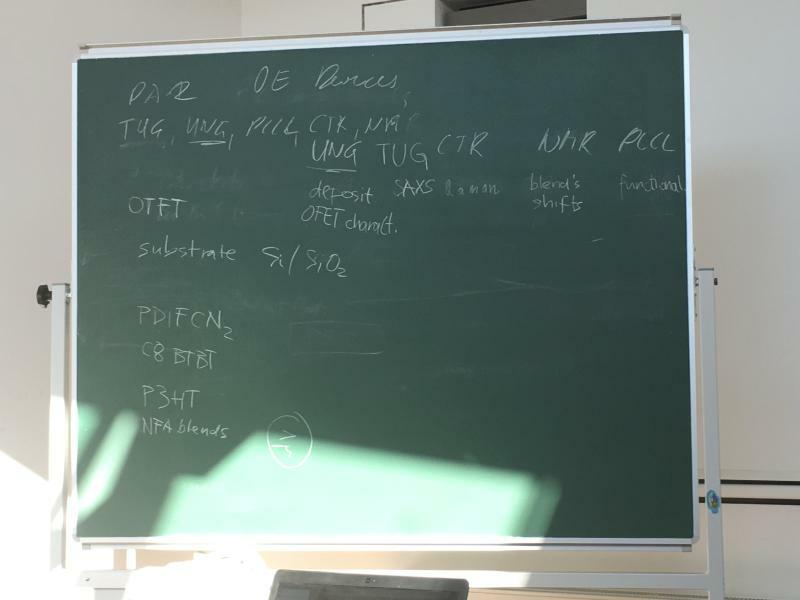 CERIC ERIC offers the access to over 50 complementary instruments and support laboratories, as well as the opportunity of getting support for mobility for two users per proposal, and awards for high quality open access publications. – 3rd September, 17hs CET, to have a pre-evaluation and the possibility to improve your proposal. – 1st October 17hs CET, recommended only for expert users of all the techniques requested. CERIC-ERIC, the Central European Research Infrastructure Consortium, offers access for research in all fields of materials, biomaterials and nanotechnology, to over 50 complementary state-of-the-art instruments and laboratories in nine European countries. A detailed description of the available instruments can be found here. Access to CERIC is open to researchers from all over the world free of charge, upon the condition that results are published and CERIC acknowledged. Partial financial support for mobility is available. 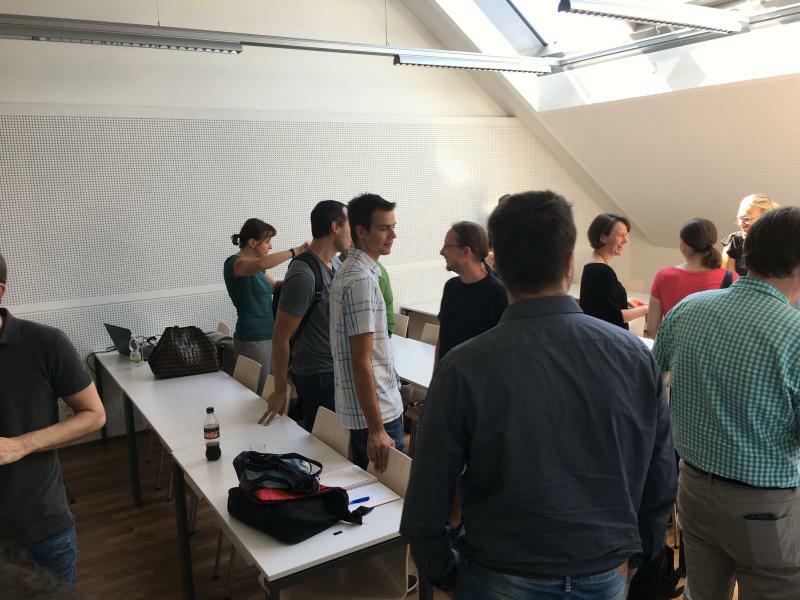 In the frame of the European project Accelerate, researchers of any nationality working in the eligible countries can ask for personalized support for proposal preparation, measurements and data analysis. For further information visit our website. The Austrian „Bürgerforum Europa“ visited CTR and gained an on-site impression of the cooperation of Austria and the European Union. The aim of the non-party “Bürgerforum Europa” is to raise European awareness in Austria. From 30th of June till 6th of July they are on a small tour through Austria were the visited several locations, starting in Schladming, where the Presidency of the Council of the European Union was officially handed over to Austria. 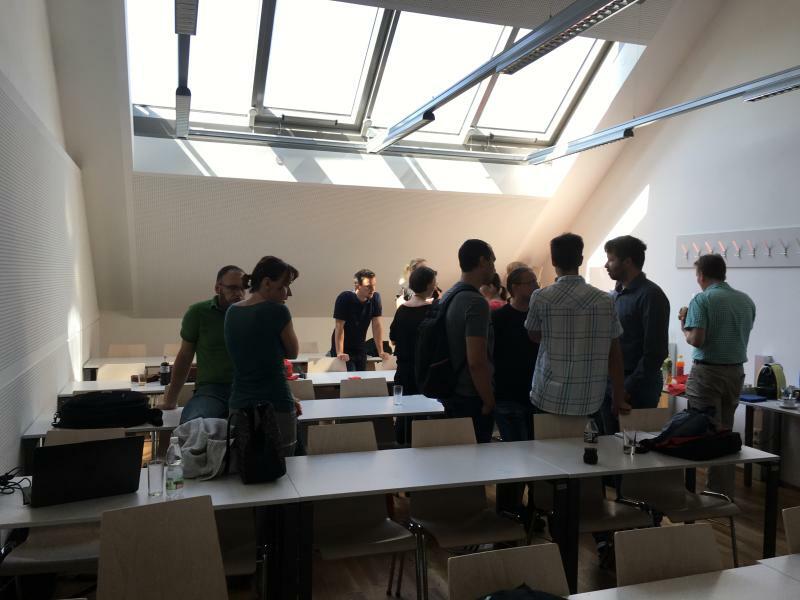 Besides stops in Gmunden, Salzburg, Graz, Wiener Neustadt and the Neusiedlersee also Villach and CTR were on their tour plan. At CTR they were visiting the laboratories as well as the recently built cleanroom, which was funded by the EFRE program. 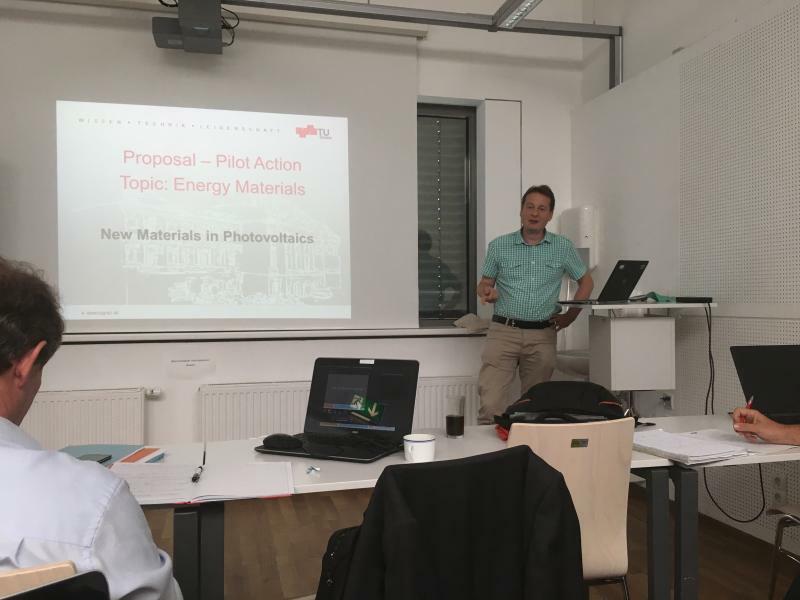 Besides that the focus was put on EFRE funded projects, such as RETINA and „Smarter Leichtbau 4.0“, which were also presented to them. The impressions of visits of the team shall demonstrate how Austria is profiting from the European Union. 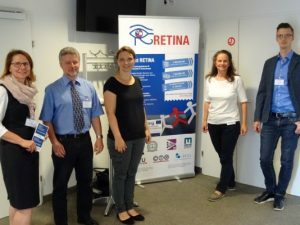 To raise awareness of RETINA, the representatives of the project partners, PCCL and MUL, took the opportunity to introduce RETINA to a relevant expert audience in the frame of the 27th Leoben Polymer Colloquium “Print and Coat” in April and the workshop “Kunststoff und Elektronik – Das Paar für die Produkte der Zukunft” in June 2018. Numerous information meetings were held with interested representatives from research and industry. 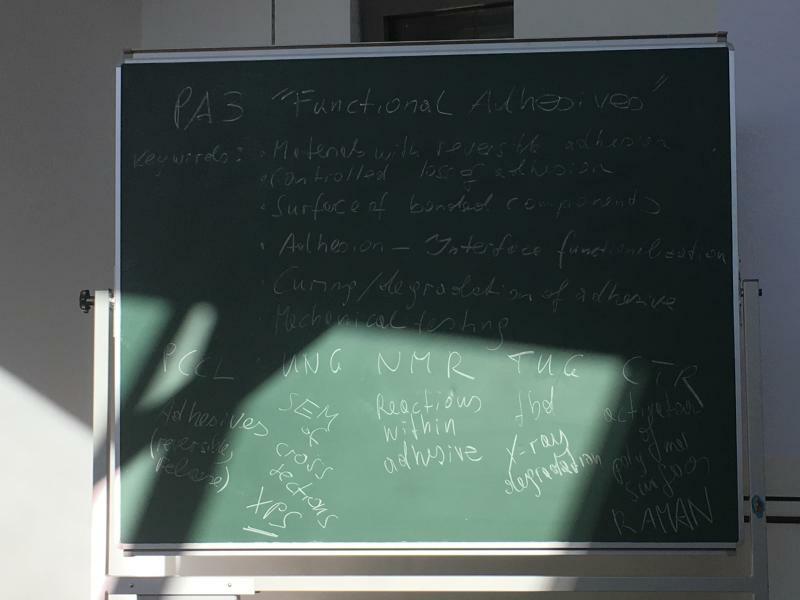 Some ideas for cooperation within the framework of RETINA already arisen during these discussions. This form of project presentation was not only an added value for the events, but also offered RETINA a fast and direct contact to potential project partners. After the first assessment process of the steering committee, the first companies for type 1 pilot actions were selected. 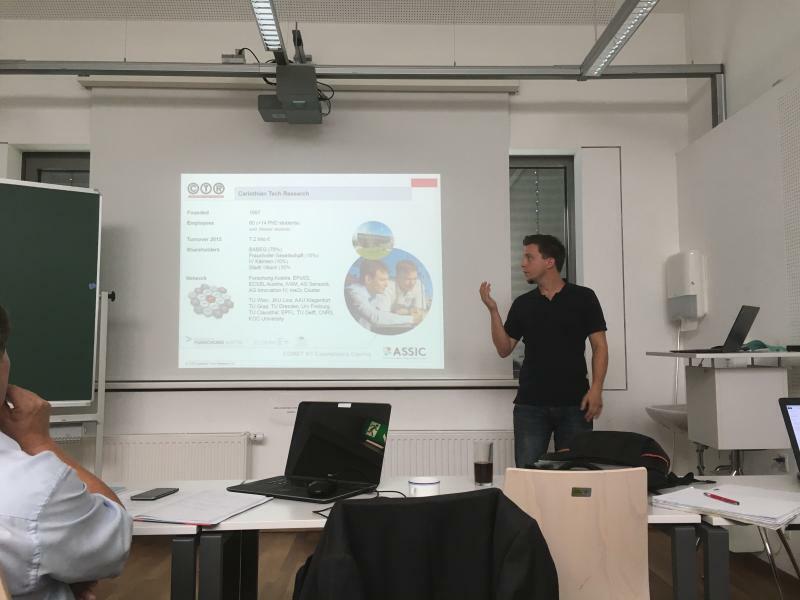 Among them is the photovoltaic module manufacturer KIOTO photovoltaics GmbH, located in Sankt Veit an der Glan in Carinthia, which applied for investigations of the encapsulation material of their photovoltaic modules. Samples were already produced, and sent to the partners for characterization and analysis. Amongst others CTR utilized the Raman system in combination with chemical analysis tools for the determination of the degree of crosslinking of the encapsulation foils. 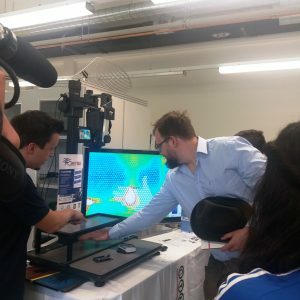 About 9.000 people were attending the „Long Night of Research“ which took place at the campus of the Alpen-Adria-Universität Klagenfurt and the Lakeside Park in Klagenfurt to experience the world of research. 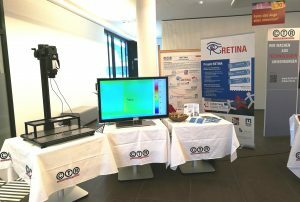 CTR was presenting the project RETINA with an own exhibition stand named “Can the human eye see everything?”. 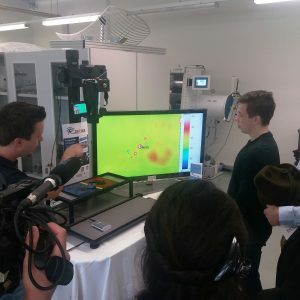 Using a thermal imaging camera, visitors could identify materials by means of their thermal conductivity. Additionally a quiz was prepared which could be solved by using the gained knowledge about the material properties. The last components of the new Raman system have been installed successfully. First test measurements and experimental series have been conducted and show promising results. For the verification of the system, measurements of the encapsulation foil of photovoltaic modules have been conducted and analysed. The degree of crosslinking of such polymers could be determined according to the crosslinking time of the manufacturing procedure as well as the material thickness (depth). In honor of the anniversary of the birth of Žiga Zois, the ceremony awarding the Zois awards, Zois certificate of recognition, the Ambassador of science awards as well as the Puh Certificate of Recognition was hosted at the Grand Hotel Union. The awarding Board Committee conferred the lifetime achievements award, three outstanding achievements award, five Zois Certificates of Recognition and three Puh Certificates of Recognition. Among this year’s winners were also associates of the Institute of Chemistry, prof. dr. Janez Plavec and prof. dr. Gregor Mali. Prof. dr. Janez Plavec received the outstanding achievements Zois Award for his work in the field of nucleic acids and protein structure using nuclear magnetic resonance. Dr. Plavac’s research work is focused on understanding the structure of nucleic acids and proteins. It mostly explores nucleic acids rich in guanine, in which he exposed the complex interdependence or primary sequences and local structure characteristics. He was also one of the first in the world to evaluate the binding and the movement dynamics of within such structures, and indicate their meaning for folding and functioning of nucleic acids. Such DNA molecule organization has an important biological role, as it can regulate telomeric sequences and promoter gene sequences. For his work, he mainly uses the nuclear magnetic resonance method. He is also the chairman of the National Infrastructure Center for high resolution NMR spectroscopy at the Institute of Chemistry. The Center is involved in European infrastructure projects and provides research support to the widest circle of researchers. 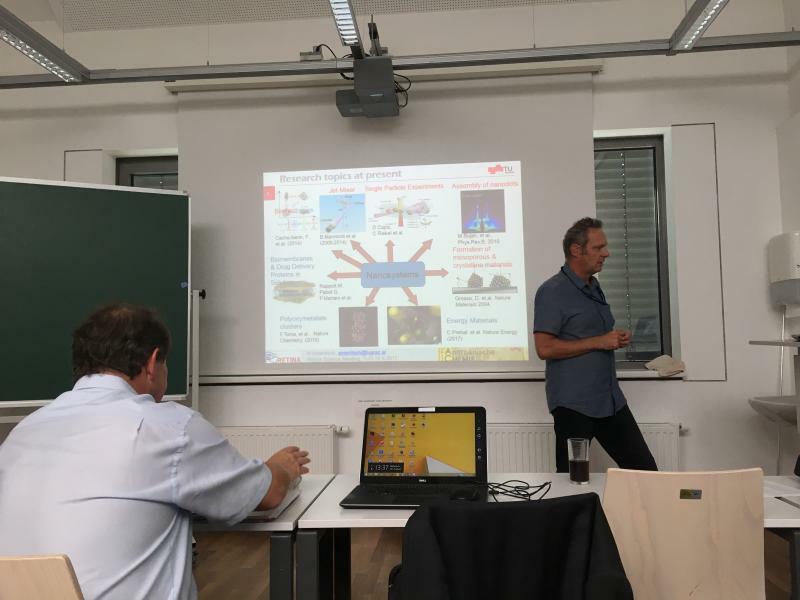 Prof dr. Gregor Mali received the outstanding achievements Zois Award for his extraordinary work in the field of materials nuclear magnetic resonance. Dr. Gregor Mali is a senior research associate at the Institute of Chemistry in Ljubljana and associate professor of physics at the University of Nova Gorica. It deals with the development and application of nuclear magnetic resonance methods for the study of materials for energy storage, and gas separation and storage. He was the first to introduce high resolution nuclear magnetic resonance in solid state to the Slovenian science sphere, allowing an insight into material structure and processes at an atomic level. He began to implement computational methods enabling him to predict parameters, measurable with magnetic resonance. He links these computational methods in conjunction with magnetic resonance in the so-called NMR crystallography, is a new integrated method of determining material structure. His work in the field of heterogeneous and disordered porous systems analysis has gained a substantial amount of attention and interest in cooperation among many prominent research groups from abroad, such as groups of Leuven (Belgium), Versailles (France), and Cambridge (UK). 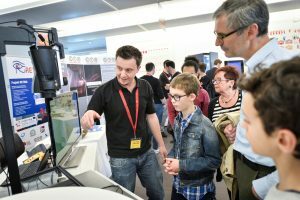 On Friday, April 13, 2018, research institutions throughout Austria are opening their laboratories for the public community and inviting them to experience research up close. The last event in 2016 attracted more than 180,000 visitors all over Austria. In Klagenfurt 10,000 people were counted. Scientific institutions, universities, polytechnics, educational colleges, as well as school projects, non-university research institutions, infrastructure operators, industrial and innovative companies allow exciting insights into the diverse world of science and research. The event is open to industry and subject matter, whereby the substantive demands of science and research must be maintained. CTR intends to present the RETINA Project within this event. We are planning to present the overall project, the website, the goal, the partners and first outcomes of the conducted work. Moreover we want to show scientific equipment for demonstrating how one can identify different kinds of plastic materials without touching them. The entrance is free, but people will go home smarter, for sure! CTR established a list of companies located in the program area, which are designated to be contacted by us regarding the project RETINA. The list was established in terms of considerations for a possible cooperation regarding research topics. Up to now this list contains already around 40 entries, including general information on the respective company, such as the contact person, homepage or location, as well as feasible topics regarding RETINA. For addressing these companies in terms of generating an overall interest for the project RETINA, a presentation was prepared including a short project introduction and infrastructure information of ALL project partners. The aim is to give the contacted company an overview of the scientific tools and R&D possibilities of the involved project partners. The team of Gernot Oreski won a Best Poster Award in the “PV Module Performance and Reliability” category at this year’s 33rd European Photovoltaic Conference in Amsterdam. A total of 9 posters from around 800 submissions were awarded. 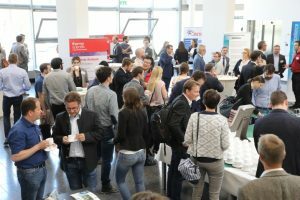 The Poster with the title “Investigation of effects due to encapsulation thickness reduction in light weight modules” was created as part of the project “U-Light”, which aims the development of ultra-light PV modules in cooperation with Isovoltaic, ISC Konstanz and Fachhochschule Zürich. The project is funded by the Austrian Climate and Energy Fund as part of the Solar Era Net program. Anton Paar and PCCL announce an R & D co-operation in the field of polymertribology, and Anton Paar provides the PCCL with a high-end rheometer with a tribological measuring cell. 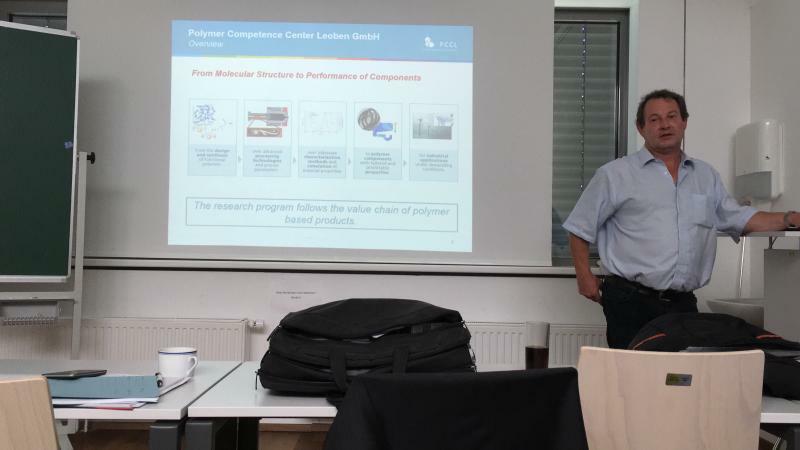 For Wolfgang Baumgartner, Head of Rheometry at Anton Paar, this cooperation offers the opportunity to combine the competences of the PCCL in the field of polymertribology with those of Anton Paar as a manufacturer of high-precision measuring instruments. 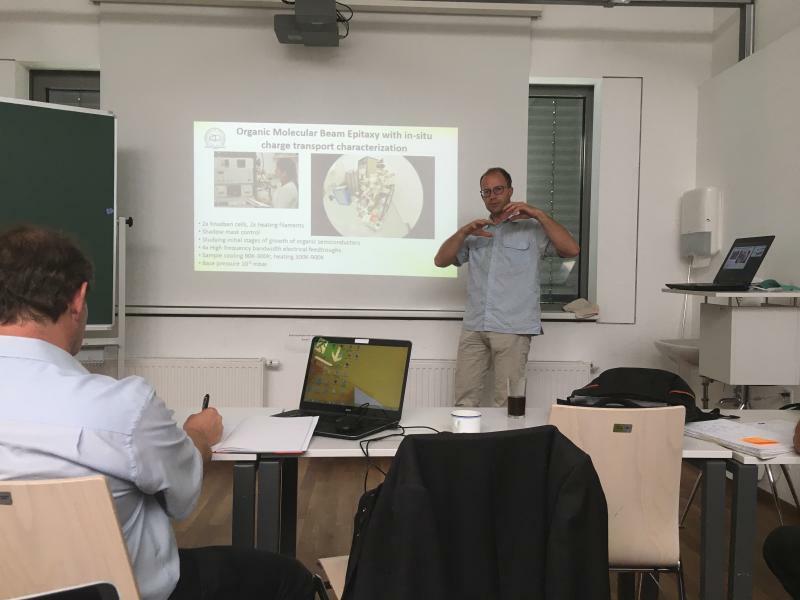 Martin Payer and Wolfgang Kern are also convinced that this cooperation makes excellent scientific research possible with simultaneous application-oriented relevance for the development of tribologically optimized polymers. One major topic over the last month was the equipment purchase of a RAMAN Anti-Stokes enhancement for CTR’s existing RAMAN system (Renishaw RAMAN Spectrometer inVia Reflex), which is intended to be used especially for material characterizations for pilot actions 2. Here, one focus will be the characterization of silicon, utilized e.g. for solar cells, in terms of internal material stress conditions, as well as investigations of other components utilized within photovoltaic modules. Certainly, spectroscopic investigations for PA1 activities are also designated. Besides the overall purchasing process of the investment, preparations in the laboratory and on the current system, the complete set-up is already done. Currently fine adjustments and test measurements are conducted for finalizing the system. Besides the technical arrangements, also first trainings on the new equipment were detained by experienced internal supervisors. 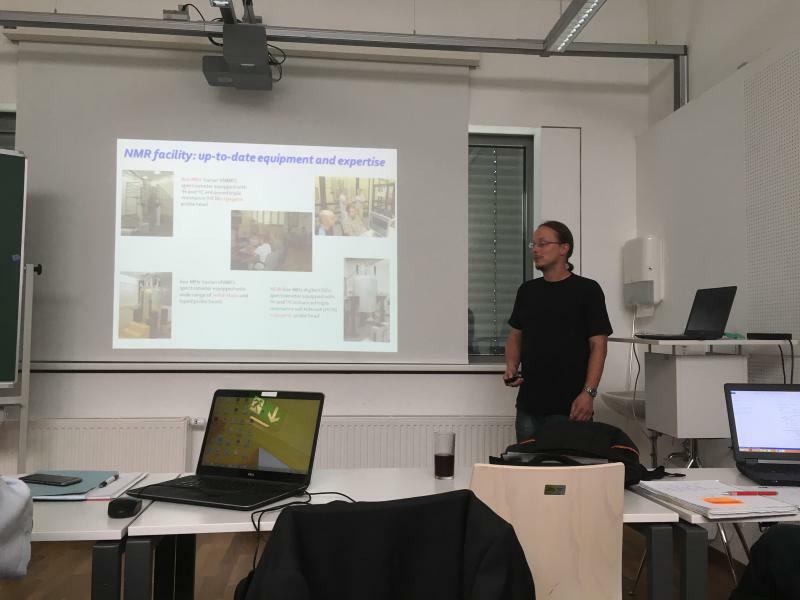 Additionally the responsible CTR employees were participating on a special RAMAN training (supervision by VibSpec; RAMAN and Chemometrics Training).